2016 marks Andy and Elaine’s third consecutive year touring with Windrush Cycle Tours and they’re still finding exciting new places to explore and visit. Never afraid of a challenge, they cycled from Broadway to Snowshill to Broadway Tower before heading off along the top of the Cotswold scarp slope to Sudeley Castle. 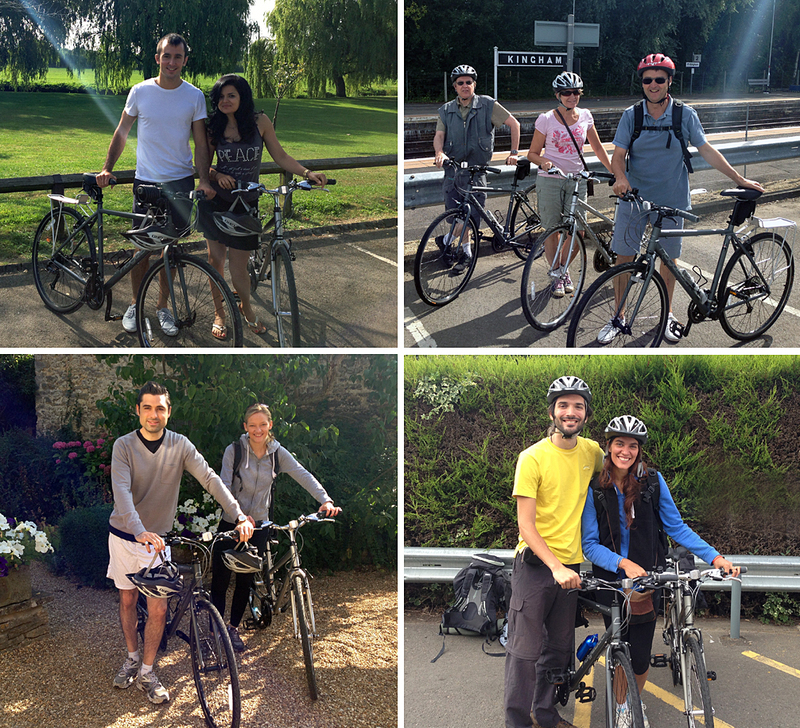 Having worked so hard on the first part of the ride, they had earned their relaxing ride on the flat back through the Stanway and the stunning village of Stanton, nestling at the very foot of the Cotswold hills. Thanks for your excellent company! Having ridden the bike with all the gear in the panniers and led her group using the pre-programmed Garmin satnav, Sarah still had plenty of energy – enough to prove to everyone that the Ridgeback aluminium hybrids used on our tours are both strong and light! 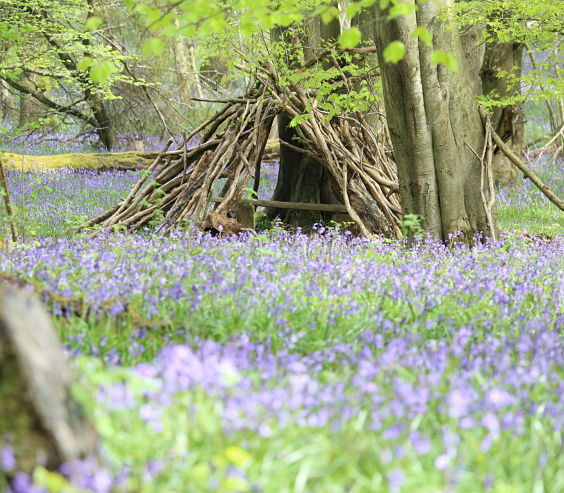 All of the customers who’ve toured since the beginning of May have been treated to a fine display of bluebells this year, especially in our local woods at Foxholes where the hundred acre woodland reserve has been carpeted in a beautiful display. Thanks to Anne who took this picture on an early morning walk with her family from The Mill House Hotel, Kingham. Gina and Mike decided that they really wanted to visit the Roman villa at Chedworth and hunt down some fresh asparagus – so they joined a Cotswold Electric Bike Tour from Northleach which I’d modified for them. Everyone who joined us found tackling even the longest and steepest hills to Yanworth and Chedworth a breeze on electric bikes and even after unscheduled miles, all the batteries still had plenty of miles left in them. Mike emailed to say: “Gina was in charge of photography, so I’ll get her to find some good ones for you. As far as the Electric Bike Experience is concerned, it was as if someone had ironed out all the hills, but left you the views. Dangerously addictive. Peter, we had such a lovely time that we found we were each trying to claim credit for having chosen Windrush for our Cotswolds cycling trip. The routes you chose were perfect – just the right level, gorgeous scenery and towns, and down quiet roads. The accommodation was great and we appreciated you stopping by after our first day to check in and tell us more about the local area and history. We hope to see you and the Cotswolds again soon. 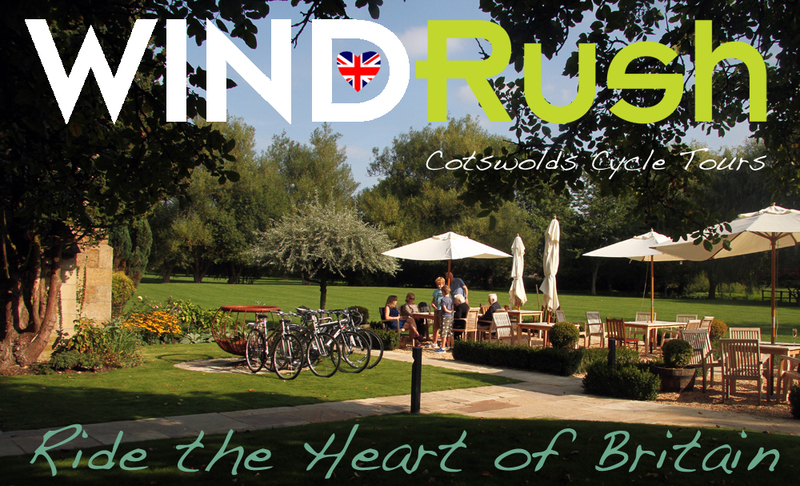 Windrush Cycle Tours now has a parallel business – Cotswold Electric Bike Tours which offers guided tours from a range of stunning locations from April to October using powerful electric bikes. So, if you just want a recovery day on your conventional cycling holiday with Windrush or know you have family members who like the idea of cycling in the Cotswolds but aren’t sure they fit enough to conquer the hills, a guided electric bike ride with me will provide the perfect way to get up close and personal with the real Cotswolds, without needing stamina of a regular cyclist. The routes of about 30 miles have been carefully selected to provide some of the best scenery in the area and quintessential villages using quiet roads and lanes. Check on-line to see the routes and ride calendar to find something that’s perfect for your needs! A great ride to Adam Henson’s Cotswold Farm Park to enjoy a delicious coffee and snack in the cafe, plus a chance to see some authentic inhabitants – rare breed Cotswold sheep. Introduced by the Romans, Cotswold sheep have been a feature here for centuries, but are now only found on a few specialist farms. With their shaggy fleece and especially long wool around their necks they were affectionately know locally as “Cotswold Lions” and are the emblem of the Cotswold’s Area of Outstanding Natural Beauty board. Hi Peter, We were so blessed with perfect weather for our Good Friday tour of the Cotswolds. Your guided tour was fantastic with endless beautiful countrysides and villages on quiet roads – it was far better than we ever imagined. The reservation you made in Lower Slaughter for lunch was excellent and it was lovely to have you with us to celebrate Eric’s great news! Thanks for looking after us so well throughout the ride and for the amazing bikes. Snowdrops are giving way to daffodils on the roadside verges as spring is gathering pace. We’re looking forward to the tours booked for Easter in just a few weeks time and it will be a pleasure to be out in the beautiful Cotswold countryside as the hedges and trees come into leaf. Already birds are pairing up and the kites, buzzards and ravens are taking advantage of thermals on sunny days to soar effortlessly through the sky! Hello Peter, We arrived safely home in California following our fantastic tour with you and our cycling in Portugal. Thanks for juggling the itinerary so that both Bob and I and Ron and Linda could get to do all the things we wanted in just a few days. You made it a truly memorable experience for all of us!